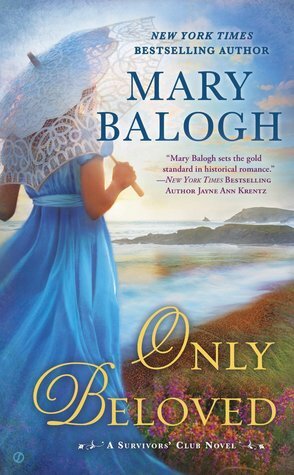 When I first realized the final book in Mary Balogh’s Survivor’s Club series was to be about George, Duke of Stanbrook, I was mildly surprised. Then I thought, duh, of course! But I still didn’t understand what the deep emotional conflict would be about. George always seemed to me to be a sort of fatherly, secondary character, and for some reason that didn’t seem heroic in a romance-story sense. I am pleased to say I was a dope. This is a marvelous story, a tragic, joyous, eminently appropriate final episode in what has become one of my all-time favorite series. Like, top five, ever. Sigh. It’s over now, but I will read the whole series again in years to come, especially now that I’ve managed to find copies of all seven books at my local independent bookstores. Five stars, Mary, all the way through.